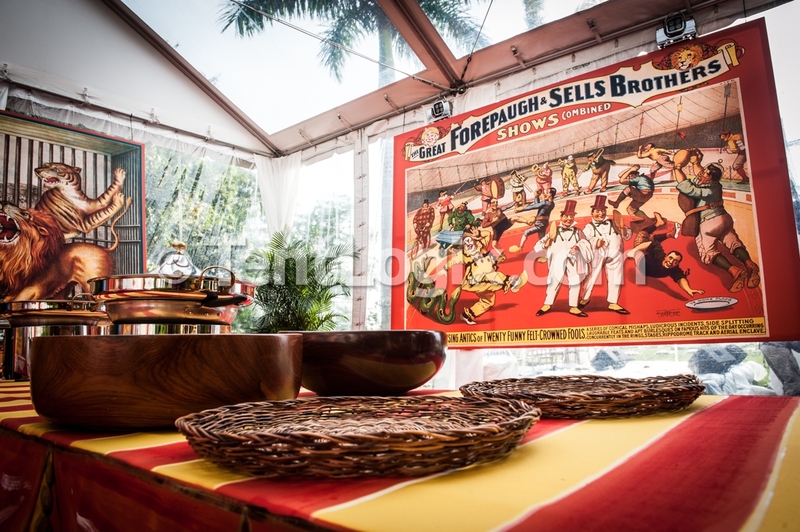 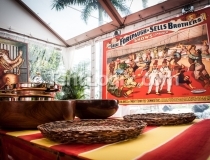 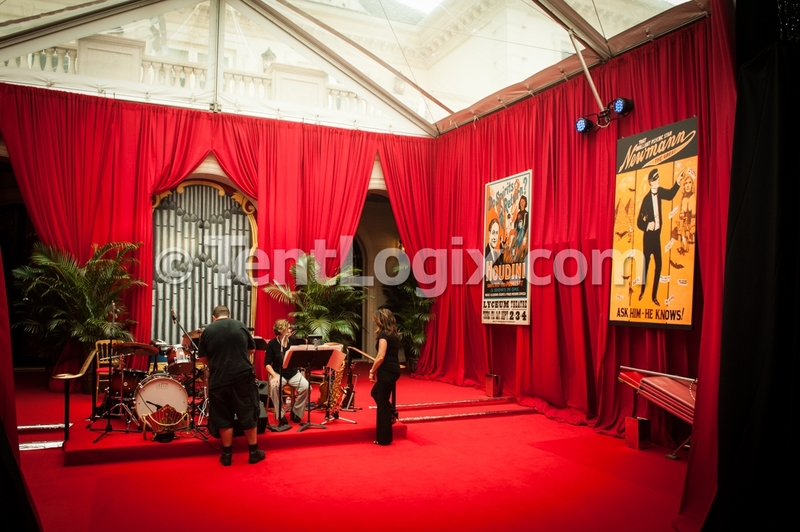 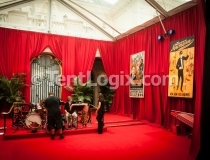 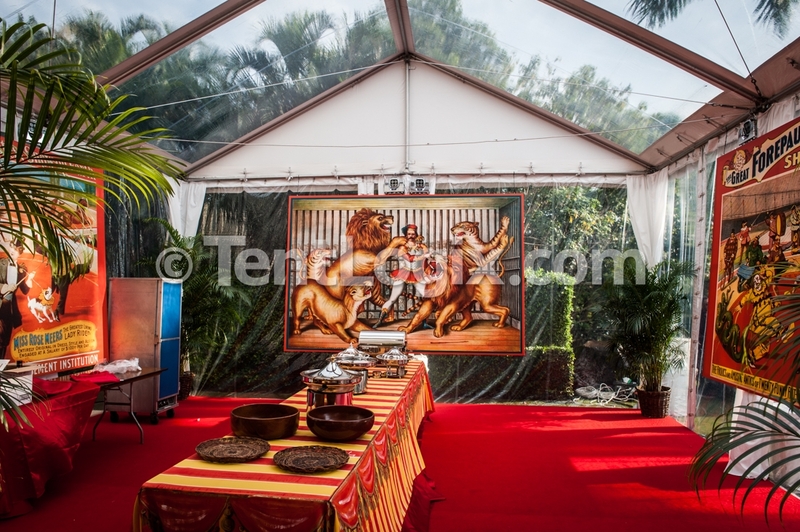 Click below for photos of TentLogix’ recent tent rental in Palm Beach! 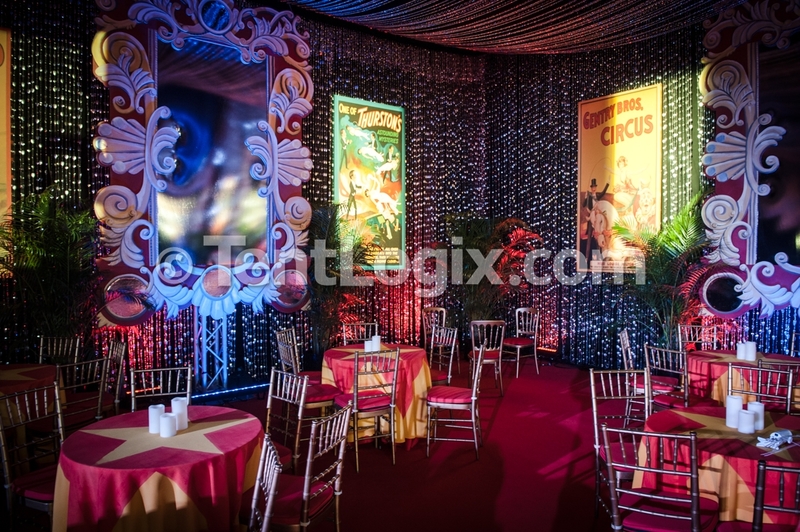 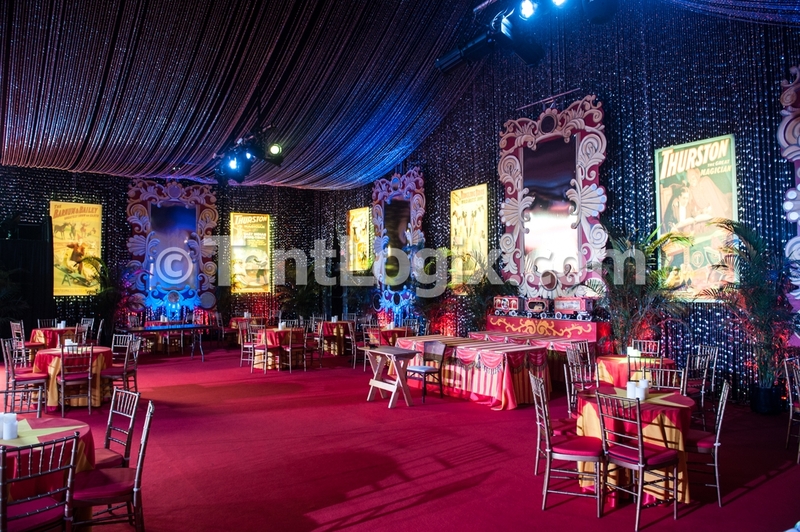 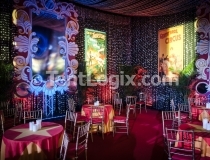 For this private affair, TentLogix’ 20m clear span structure was draped in black fabric and adorned with countless strands of beads, mirrors, and circus posters! 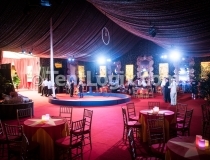 Aerial acts hung from the ceiling while strolling performers dotted the floor throughout the evening. 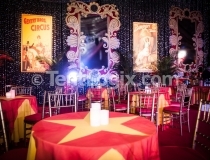 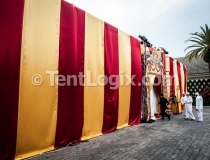 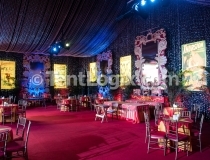 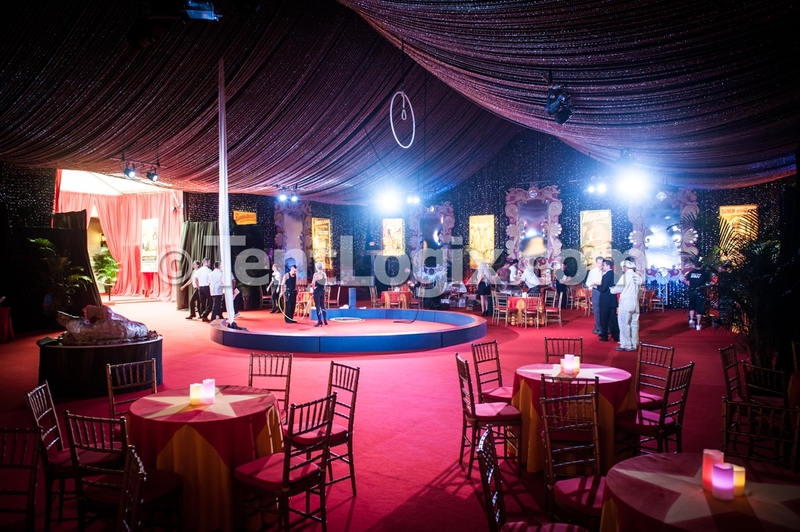 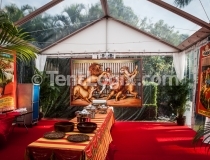 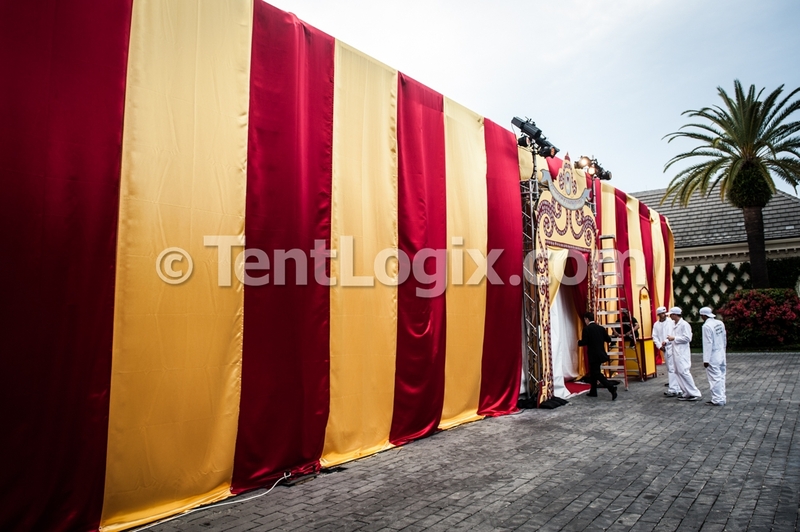 In addition to the main tent, TentLogix supplied a clear-top buffet tent, band tent with staging, as well as tenting for the dance floor and orchestra, all complete with event flooring and red carpet! 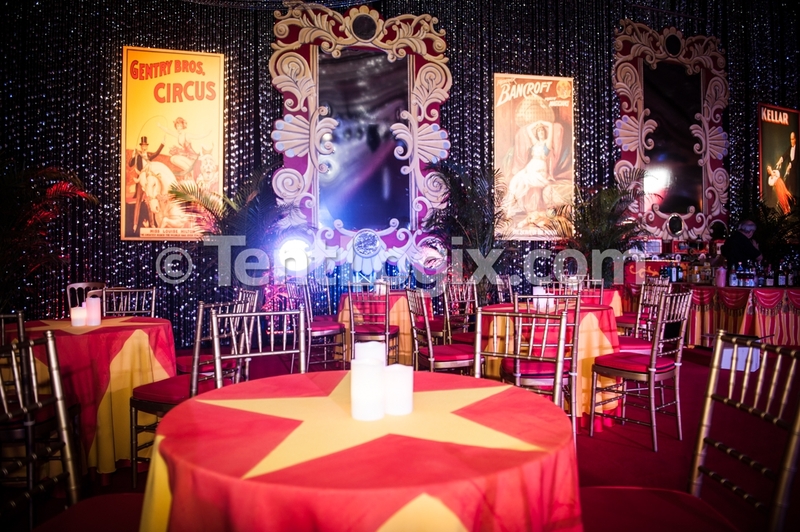 This fabulous Circus Ball was designed by Hutton Wilkinson, Tony Duquette Inc. with Dazian, Circus Flora and Palm Beach Catering.